Are You Ready to Open a Joint Bank Account? One of the decisions many couples face is whether or not to combine their finances. There are many different ways for couples to manage their finances, and one of the decisions that has to be made is whether or not to open a join bank account. Even if you think that you want to open a joint bank account, it is important to carefully considered this move. You want to make sure that you are ready to open a bank account together. Are You Financially Ready to Combine Your Finances? The first thing you need to do is figure out whether, financially, you are prepared to open a joint account. Before you decide to get a joint account, you need to discuss finances with your partner. You should have similar financial goals, and you should be able to work out a plan for your money. You will need to come up with a plan for your joint account, and how it is used. Will you each maintain separate accounts and contribute money into the joint account for shared expenses? Or will you completely combine your finances with everything in one big pot? These are issues you need to work out and agree upon. Another issue of discussion related to financial readiness when it comes to opening a joint account is to consider individual financial situations. If one of you is not financially stable, it may not be a good time to open a joint bank account. You need to decide whether or not your partner’s large amount of debt or lack of a job would present a problem in a situation where you would both have access to a shared pool of money. In some cases, these issues can be overcome. In others, the financial instability of one partner can be a real problem in a situation with a joint bank account. Finally, you have to make sure that you open the right kind of joint account. There are different types of bank accounts, and some joint accounts can actually result in legal issues if one of you dies. If you want the surviving partner to be able to fully access the account, you will need to make sure that the account is set up with a right of survivorship. 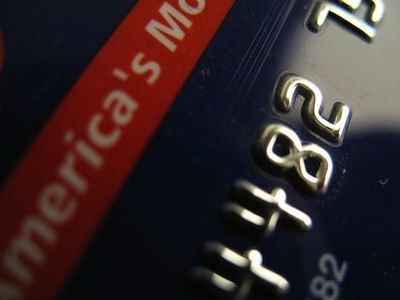 Another consideration is your emotional readiness for a joint bank account. You have to be able to trust each other. This goes beyond whether or not you trust your partner to make good money decisions. If you don’t trust your partner in other areas of your life, then you have some relationship issues that need to be addressed before you open a joint bank account. Additionally, many couples are used to functioning independently as individual, and making their own decisions without consulting someone else. Sometimes, there are stresses associated with having to start sharing decision-making duties. If you or your partner are having trouble adjusting to being accountable to each other, you might want to ease into opening a joint account, becoming comfortable with your shared decisions before you add shared money into the mix. And, finally, it is a good idea to make sure you have some sort of binding legal arrangement before you open a joint account. Many a lover has been unpleasantly surprised with the way their affianced has drained a joint account — with no way of really getting it back. Even if you plan to marry someone, those protections are not in place until you are actually lawfully wed.
Making the decision to open a joint bank account is a big one with far-reaching consequences. Be sure you are truly ready to take that step. Our life was made so much easier once we opened a joint bank account (prior to getting married – about 2.5 years ago). We had very different incomes (Mrs. SPF was completing her degree). While we paid differing amounts of the household bills (balanced as per what we contributed to the total income) it was a real pain to go through all the bills and calculate who owed whom what amount. Big fan of combined finances and the points you make about assessing compatibility are great ones. The Mrs and I have had a joint account for about 2 years now, mainly because she works for the bank and it’s free for me :), we have never had problems. We both make about the same amount. On pay day we pay off whatever bills we have (which is usually just a credit card) and then transfer the rest to a joint savings account. We each contribute to our individual RRSP accounts as well as employer sponsored pension and ESOP. At the end of the day we are working together towards the same goal…..financial independence. As a single income family, we don’t use a joint account for everything. It’s mostly my account – I pay all the bills from my account. It would be easy to make it a joint account, but I am more of the budgeting type so I had to keep it that way to control spending. Our joint account is used to cover the groceries and kids expensive that my wife takes care of. She still manages to save money from it too 🙂 In a way, it’s almost like she is an employee when it comes to the accounts and money. I think it works well because it’s about being in the positive every month and not in the negative. If you open a joint account, you are just asking for trouble. What if one spouse writes a check for $100, the other writes a check for $200, but there is only $250 in the account? Both spouses think there is plenty of money there, but guess what? It gets real ugly in a hurry. I don’t believe in joint accounts. What is mine is mine, and what is his is mine too! i think joint account is good among couple. It has its way of keeping couple close, as long as u agree on no withdrawer without the consent of the other, except in the case of death.